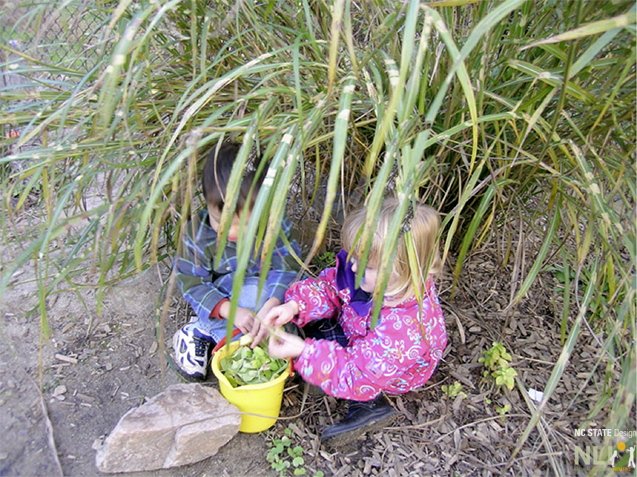 Reconnecting children to nature and maximizing children’s learning and development for improved child outcomes. During a time when expectations are clear that high quality Head Start programs should prepare children for school readiness, it is useful to take a careful look at what the research shows regarding learning environments that produce the most impressive child outcomes for infants and toddlers as well as preschoolers. For example, research shows that outcomes in all developmental domains are maximized by more time and activity in the outdoor environment. Specifically, research shows that attention span and cognitive development are enhanced by learning in the out-of-doors. In addition, research shows that challenging behaviors that often interrupt the learning process, such as impulsivity and aggression, decrease with more time and activity in natural environments. This training event was designed for education managers, specialists, training coordinators, center directors, area supervisors, program staff who train Early Head Start and Head Start teaching staff, and program leadership in the process of planning new or renovated Head Start and Early Head Start outdoor play areas. Robin Moore, DiplARch, MCP, Professor of Landscape Architecture and Director, Natural Learning Initiative, NC State University. Betsy Thigpen, MS, Child Development Consultant, Natural Learning Initiative, NC State University. Nilda Cosco, PhD, Education Specialist, Natural Learning Initiative; Research Associate Professor, College of Design, NC State University. Shweta Nanekar, MLA, Design Associate, Natural Learning Initiative, College of Design, NC State University.